Xiaomi’s decision to launch the Mi Mix 2S as its first flagship smartphone for the year surprised many, including me. But that doesn’t mean that there’s no successor for the Xiaomi Mi 6. The Chinese vendor is apparently working the Mi 7 smartphone for quite some time now, and the delay of the launch is largely due to the advanced face recognition mechanism it’s said to pack and also due to the under-display fingerprint scanner. Lei Jun, the founder and CEO of the company has sort of confirmed to a Weibo user that the Mi 7 is actually arriving with an under-display scanner. In other news, a leaked render of the same smartphone hints that Xiaomi will also join the notch train with the Xiaomi Mi 7. Speaking about the under-display fingerprint scanner first, Xiaomi’s CEO Lei Jun replied to a Weibo user who took a rumour of the Mi 7 with under-display scanner as a funny one. Lei confirmed that the phone would come with an under-display scanner and asked the user to calm down as well. Coming to the leaked render, with the Xiaomi Mi 7, the company is boarding the notch train where it already has partners such as Oppo, Vivo, Huawei, and of course how can we forget OnePlus. 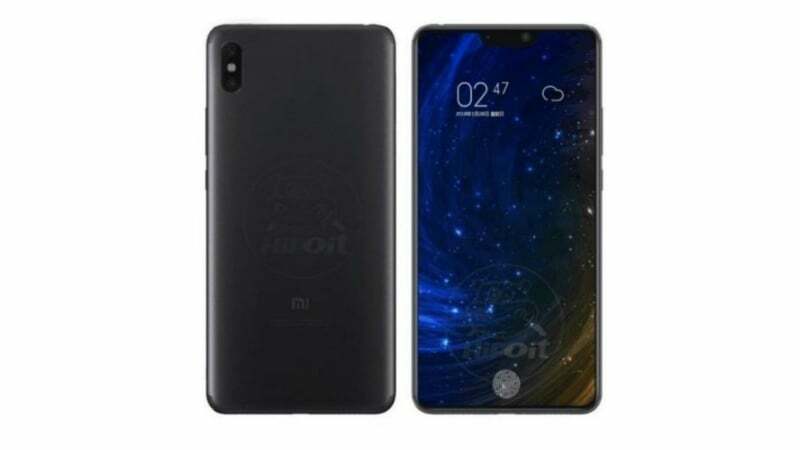 Xiaomi was praised by many for not going with the notch-based design with the Mi Mix 2S, but this new render leak silenced everyone out there. The Mi 7 will come with a 19:9 notched display which houses the additional face recognition hardware, selfie shooter and an earpiece. There are only a few smartphones with under-display scanners at the moment- the Vivo X21 UD which everyone can afford and the Huawei Mate RS, which mostly no one can afford. That said, none of the smartphones with under-display fingerprint scanner made its way out of the Chinese market. Speaking about other features, the Xiaomi Mi 7 will feature advanced facial recognition features same as the Apple iPhone X. The phone is also said to sport an IRIS scanner and could arrive with the same IRIS scanning, face unlock mechanism we saw on the Galaxy S9 duo. The Mi 7 will be powered by the Snapdragon 845 SoC, coupled with up to 8GB of RAM and 256GB of internal storage. Xiaomi stated its intentions about how serious it’s going to take cameras this year with the Mi Mix 2S, and we’re already excited about the camera setup on the Xiaomi Mi 7. The phone is slated to come with a beefy 4400mAh battery. There might a bigger Xiaomi Mi 7 Plus model as well.